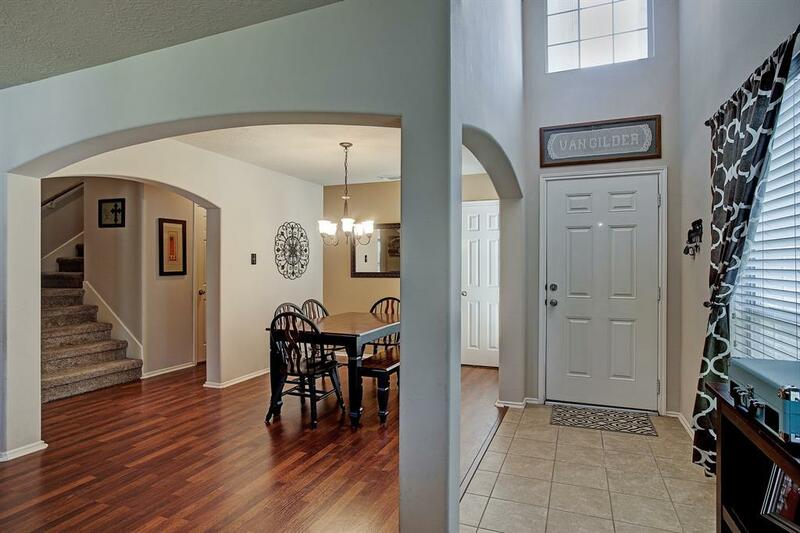 Come see this gorgeous 2-story home which is located with easy access to major freeways, shopping, and dining! 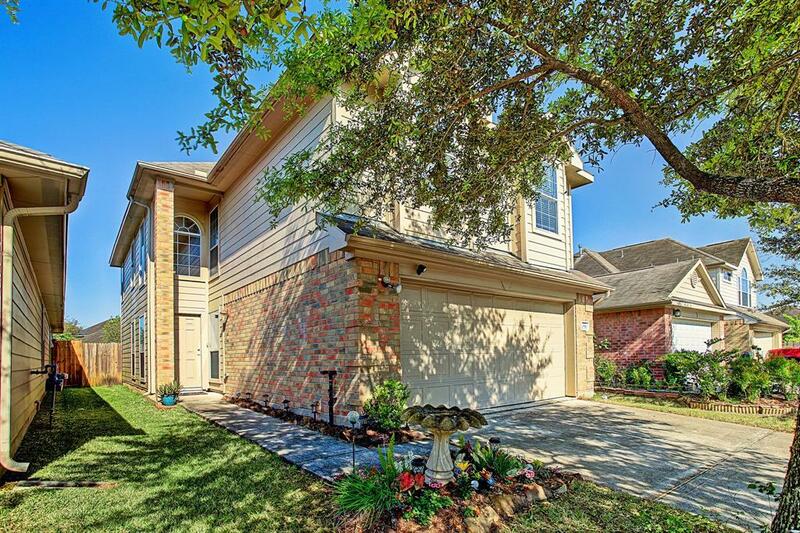 This three bedroom, 2.5 bath home, with a double car attached garage, offers over 2100 sq feet of well-designed space. From your first step inside, you will notice the beautiful, open dining and living areas covered with lovely wood laminate. The kitchen/breakfast room has tile floors and lots of storage. On the second floor you will find the master bedroom with a raised ceiling and a large bathroom with double sinks, a garden tub and separate shower. The second floor also has a spacious bonus area which would make a great game room, exercise area, or cozy reading loft. 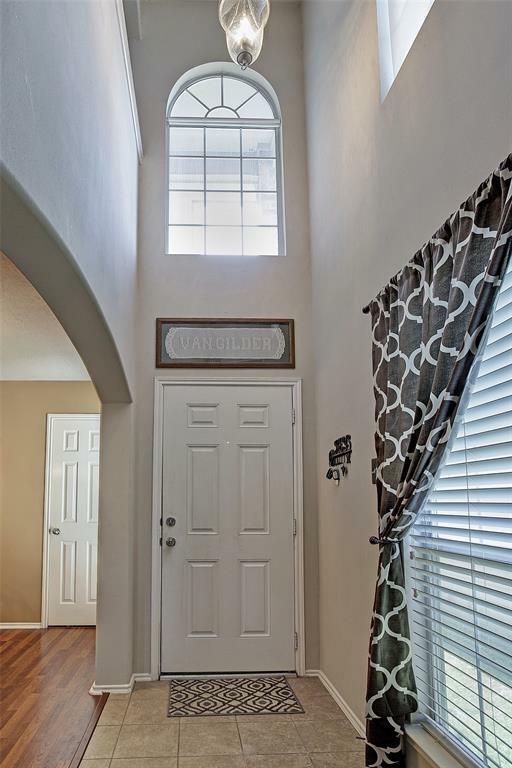 The utility room is conveniently located upstairs near all three bedrooms. 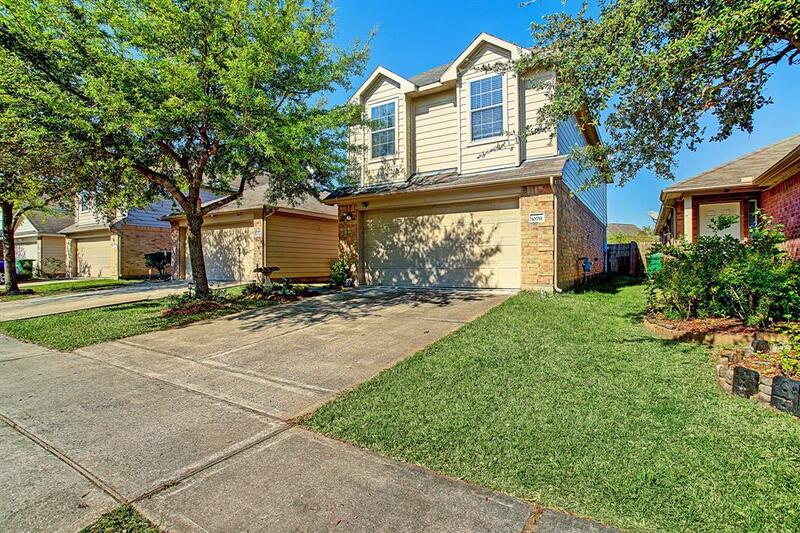 A large, fenced back yard has a gate for easy access to the community park/green space. The home's original owners have taken great care of this gem. NO FLOODING!